It took some searching, but I finally found a copy! This is the first Christmas mix CD I ever made, back in 2006. I didn’t start making these until I had left the Record Store. Nobody who works retail wants to listen to Christmas music outside of work. Once I had been gone a year, my brain and soul were freed! As discussed in the previous Christmas Mix article, after a few years I was running short on good songs to use, so I had to repeat a few from prior years. Several tracks from the 2006 disc made a return appearance in 2010. 1. Hawksley Workman – “3 Generations”. Truly an incredible, family-oriented song that is a highlight of Hawkley’s excellent Christmas album, Almost a Full Moon. The 2006 CD has lots of Hawksley songs. 2. Extreme – “Christmas Time Again”. My sister always liked this one, which sounds like early Extreme – perhaps first album era. 3. The Beatles – “Christmas Time is Here Again”. I leaned heavily on this one, though not a great song, just because it’s the Beatles and it’s a rarity you may not have heard. 4. 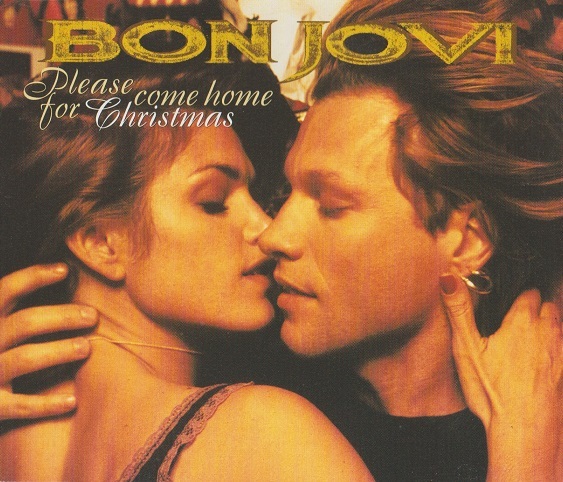 Jon Bon Jovi – “Please Come Home for Christmas“. Bon Jovi have done several Christmas songs, but Jon’s solo version of “Please Come Home for Christmas” is by far the best. Let’s face it, this is a great tune! 5. Jim Cuddy – “New Year’s Eve”. Another one I lean on because a song about New Year’s Eve is a nice change of pace. Plus, it’s Jim Cuddy! 6. Ted Nugent – “Deck the Halls”. I think every Christmas mix needs a kick in the nuts to keep things interesting. Here’s the kick! 7. Bob & Doug McKenzie – “Twelve Days of Christmas”. It can get a little tedious, as many joke songs are, but people know it and like it. That’s not bad for repeat. I’m sure Kiss have repeated more than just seven songs on their greatest hits CDs…. For creative types, the first thing you try something is often the best. Maybe that’s the case with my line of Christmas mixes. This first instalment is a great listen, even if you hate Christmas music and everything to do with it. Check out the amazing songs you would have heard in 2006! “Linus & Lucy” isn’t a Christmas song at all, but it works because Charlie Brown is associated with Christmas. 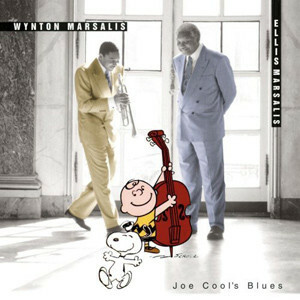 Wynton and Ellis Marsalis did an entire album dedicated to the music of Charlie Brown (Joe Cool’s Blues), but “Linus & Lucy” is the most instantly memorable. And now, all of a sudden, you’re a kid again watching the Charlie Brown Christmas special. Hawsley Workman’s first appearance here is “First Snow of the Year”, a song that is much too happy for a song about snow! It’s homey, upbeat and jovial. Keeping things upbeat, I went for the Brian Setzer Orchestra next. “Jingle Bells” mixes the big band style with jaw-dropping guitar as only Setzer can do. I then chose to cool things out with “The First Nowell” by the sublime Eric Johnson. His acoustic/electric instrumental contains just as much original music as it does traditional. It’s wonderful. There was a time when Queen’s “Thank God It’s Christmas” was a rarity. Now you hear it on the radio. When I first had it, it was on a bonus CD within a Queen Classics/Greatest Hits box set. (The “Green Cover”.) Since just about everybody likes Queen (then and now) including it is a slam dunk. It’s 80s Queen but that’s OK, isn’t it? I used a lot of instrumental music on these Christmas mixes, which tended to come from Merry Axemas 1 and 2. “Joy to the World” by Steve Morse is a beautiful rendition, much like the Eric Johnson track, though Steve’s is entirely electric. Then it’s Joe Perry’s Hawaiian guitar version of Elvis’ “Blue Christmas”. You may recall that I put Elvis’ version on my 2010 CD. Joe’s version is cool because it’s different, though not as popular around our dinner table. 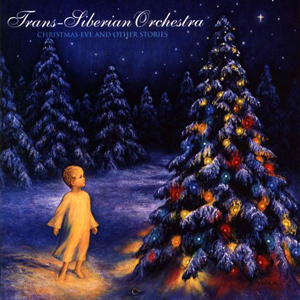 Trans-Siberian Orchestra is, honestly, a band I don’t get. Look, I’m a huge Savatage fan. Massive Savatage fan. I’ve been a fan since I was 15. Trans-Siberian began as a spinoff of Savatage, and I was absolutely shocked when little old men and ladies would come in to the Record Store asking for them! Trans-Siberian isn’t as “metal” as Savatage, but the bombast is all there. They’re popular though, so I put as much Trans-Siberian on here as I could handle. “A Star to Follow” is a pretty gothic version of “God Rest Ye Merry Gentlemen”. Much better is “A Mad Russian’s Revenge”, an interpretation of Tchaikovsky. I also threw on “The Silent Nutcracker” because it is a simple acoustic guitar instrumental, not at all like the other TSO tracks. One of Marillion’s very best Christmas tunes is “I Saw Three Ships”, so for my debut Christmas mix, I used nothing but the best Marillion. This is from 2001’s A Very Barry Christmas. There is something special and unique about this band. “I Saw Three Ships” is both true to the song, yet intrinsically Marillion. Hawksley’s third appearance is a hat trick of perfect celebratory pop. “Claire Fontaine” isn’t particularly seasonal, though it’s from his Christmas CD. It’s about a girl who makes lovely decorative paper. There’s a line about “going home for Christmas” but otherwise there is little connection. Claire could use her paper to wrap gifts, though Hawksley uses it for writing. “Your sheets are very smooth, I like to rub my pen across them.” This was a selfish inclusion. I just love this song. “Ring Out Solstice Bells” is also a selfish inclusion, because although it is a brilliant track, nobody I knew actually liked Jethro Tull. In fact some, like Mrs. LeBrain, are quite anti-Tull. So who was this song for? Me! And I stand beneath the Christmas tree, doing my best Ian Anderson single-leg stand. The disc ended with a slew of tracks I’d use again. Cuddy, Nugent, and Bob & Doug closed the CD. A joke song makes a good closer sometimes, so that’s why I re-used Bob & Doug in the exact same position on 2010’s CD! I like this CD, but I today I would axe the first two Trans-Siberian tracks. I don’t think I’d change anything else. In fact I’m quite thrilled to hear “Linus & Lucy” again for the first time in ages. (I’ll have to give the whole Wynton & Ellis CD a spin again.) Hawksley is always a delight, and I used his very best Christmas songs here. And that Jethro Tull song is brilliant; I don’t care what cynics say. I wanted to go see the TSO Christmas tour going on. I completely missed it this year. It does amazingly well and looks fantastic. I am going to try and catch it next year. I think maybe I need to see it live to get it. Do not understand the Trans-Siberian Orchestra as well. Amazing musicians but it feels kind of elevator music-ish to me. *shrugs* I know you’re going for non-traditional, but any BB King or Tony Bennett make these CDs? They had a few originals that do not get played often. I love BB and Tony! I didn’t know BB had Christmas music actually. Gotcha! Yeah, give the BB album a try. It’s called A Celebration of Hope. Unsurprisingly, I approve of the Hawksley content. I’m glad! Almost a Full Moon is my favourite of his honestly. PS — don’t miss my post tomorrow. Seriously don’t. No RUN DMC? Is it not Christmas time in Hollis Queens? Nice point about retail workers not racing to hear Christmas music outside of work! Fun! Again, love all the Hawksley!